In South Africa, we teach capital letters or upper-case letters in the latter part of Grade 1, or in Grade 2. By now your children have a good understanding of the principles of handwriting and this is just another step up the ladder. They do need to practise their letters but often those capital letter words are just plain boring! We need to find how to teach upper case letters in a fun and engaging way. So, we have brought in the fun with a series of rhymes that allow for handwriting and upper-case formation practise, while ensuring the fun element is there. 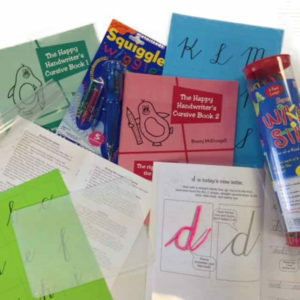 Teaching capital letters requires the same multi-sensory approach used for the print letters. It can be easy to think that because your children are older that you shouldn’t be singing formation songs. But research has shown the verbalisation of the formation directions is one of the critical factors in establishing the formation patterns or motor maps for handwriting in the brain. The repetition offered by the creation of rainbow-letters and numbers® remains critical at this age to assist with the establishment of the motor maps. Your child can use retractable wax crayons or twisties to do the big letter. They offer the right amount of resistance to give the feedback you need, which is not offered by a koki or marker pen. The smaller rainbow-letters may be done in pencil crayon and the writing passages in pencil. 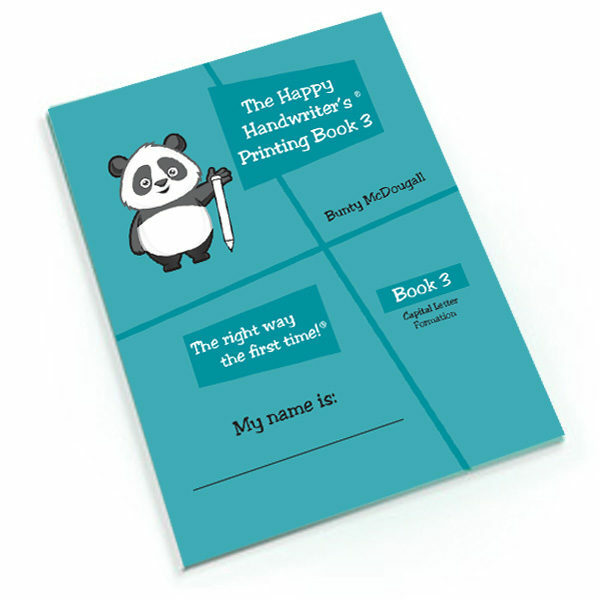 The Happy Handwriter’s Printing Book 3 is a fresh and fun approach to teach capital letters.